As of 2011 the Chinese Government has banned all indoor smoking in areas where passengers are present. 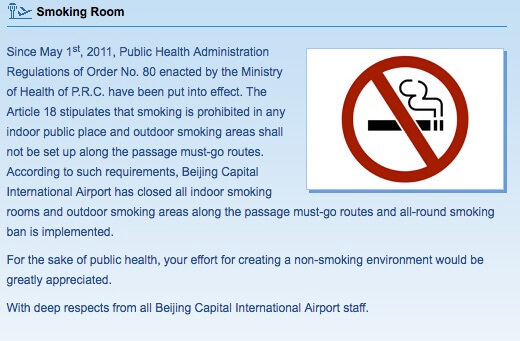 As such Beijing Capital International Airport has closed all of its smoking areas. Smoking is allowed outside the terminal buildings.